Sweden’s mobile penetration rate is among the highest anywhere in the world, standing at well over 140%. 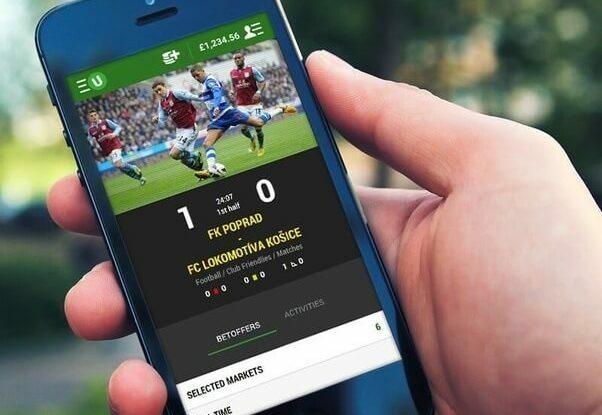 This incredible figure, added to the fact that Swedes love to bet, has got the best sports betting company on the run to provide betting apps that allow players to place bets conveniently. Here are 10 of the most popular sports betting apps in the country. BetVictor has some of the best deposit and payment options of any betting site in Sweden. The betting house has a mobile app for both Android and Apple platforms. The app allows players to make bets in the same way they would on their regular website, even during play. Pinnacle has a mobile app that allows users access different markets including live ones. The app lets players seamlessly place bets. The app works wonderfully, even on phones with smaller screens. Unibet’s mobile app is known as Unibet Pro. The app proves live odds and allows streaming video of more than 10,000 events annually. Their app is optimized for different devices including Apple, Microsoft, and Android. The app provides different soccer stats and Tennis stats. William Hill’s app solution is available for both Apple and Android solution. It makes different markets available for players to make bets on. The app also makes it possible to conduct full account administration, complete with deposit and withdrawal options. Betfair’s presence as an online betting site dates back to 2000. As such it is among the revolutionary sites that made online betting popular. Today, the site has an app that allows players to access some of the most competitive odds in the sports market. The site provides markets commission-free. Bet365 is the world’s largest bookmaker. As such, it allows players access to the most comprehensive selection of sports markets. There’s a mobile app available for Android and IOS devices that lets players enjoy the top in-play betting of all other platforms. Betsafe is an excellent online bookmaker for punters in the Nordic region. The bookie’s app allows players place bets on a wide variety of bets and has some of the most lucrative odds in the market. Betsson betting site is Swedish and provides a variety of products to different gaming sites including Bettson and Betsafe. There’s a mobile app for Android that offers online betting opportunities for both sports and casino. Users enjoy such niceties as free bets and cash backs. NordicBet focuses exclusively on the Nordic region of Europe. The company started in 2002 but has gone immensely in popularity over the years. The site has a specialized app for both Apple and Android. When it started, Bethard focused on Casino. Recently, however, the bookmaker stepped into sports betting and has an app for different devices including Android and Apple. The bookie offers a welcome bonus of 125%. Sweden’s sports betting market has a bright future, telling from the rapid growth of the industry in the recent years. As you consider start betting, it’s essential that you have some information on how to go about it. A good place to start is by visiting matchtips.se, a website that offers insight on how to bet to new and seasoned players. Check out their free daily “gratis speltips” for betting tips.